I would like to share with the rest of the world! You can dowload them for free at my website! Feel free to share with friends and family! 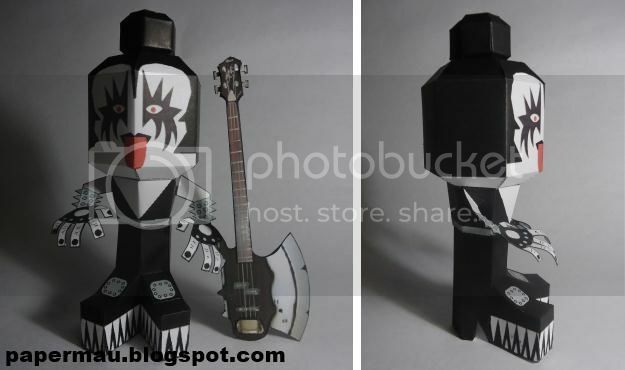 Crazy dave papertoy . .
Hey everyone. Here is a custom of my Wheelman template named "Bass Head". It's my 1st one in a while as I've been a bit busy. I recently got my copy of Gunther from Nick, and what a surprise I got, a hand drawn cactus envelope, some cactusclan stickers, and not forgetting Gunther! The Stickers are gonna come in handy for adding some colour to my toolbox at work, or maybe my car! Gunther himself is awesome, and no cactusclan family should be without him! 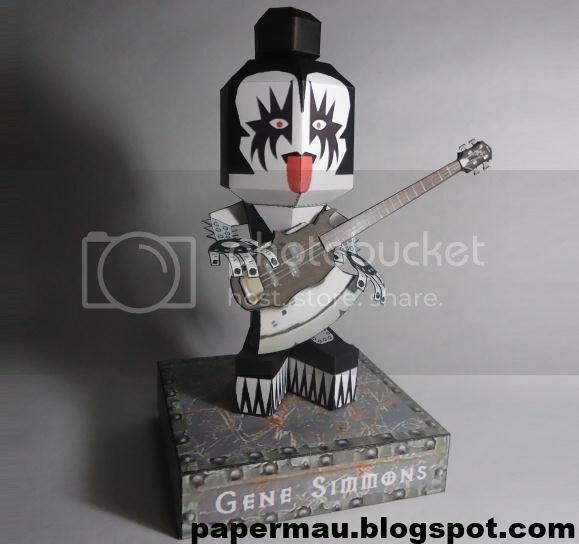 This is the Gene Simmons Paper Toy, a free paper model create by a fan to be shared with all fans of Kiss. It is a nice collectible to put on your CD or old Lps shelf. Posh printed Box Edwina Fairy! I was a teenage hand model.